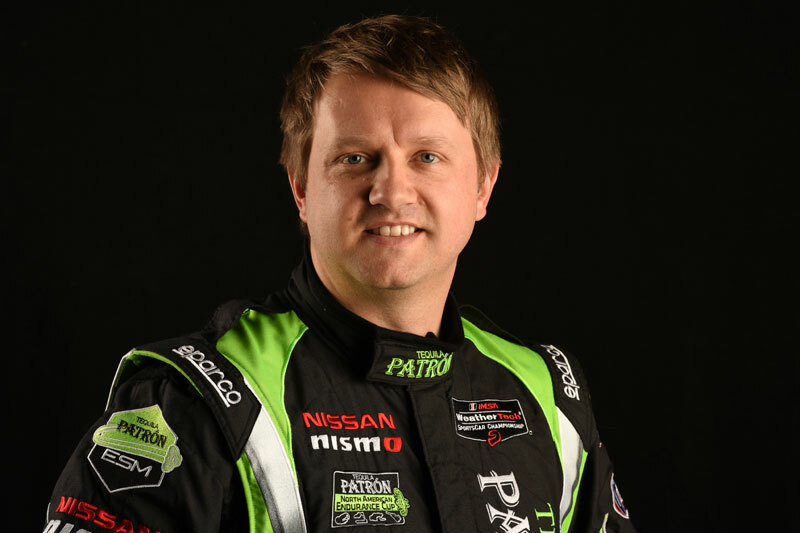 One of the joys in covering Ryan Dalziel throughout first his open-wheel and then sports car career over the last 15 or so years is that he’s found a way to keep himself in the game by way of his tenacity to secure a number of different rides and opportunities, and establish himself on both the domestic and international sports car scenes. Dalziel, who this year competes full-time in both the IMSA WeatherTech SportsCar Championship in the No. 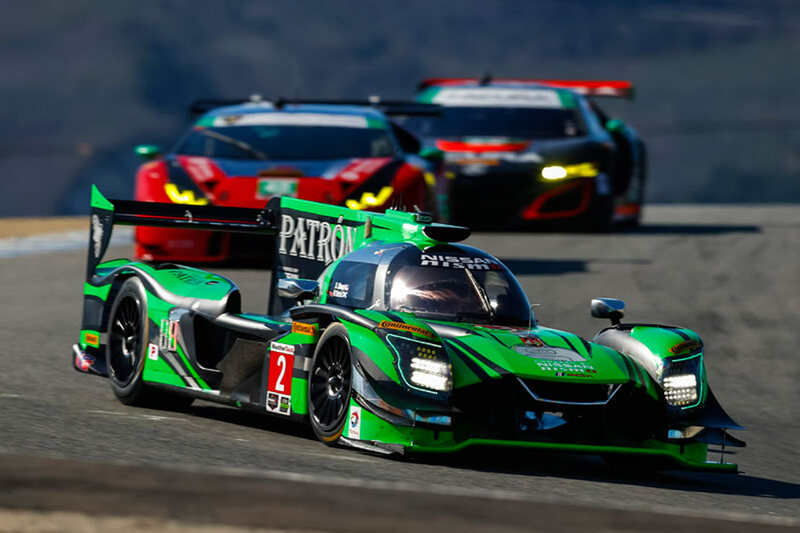 2 Tequila Patron ESM Nissan Onroak DPi and in Pirelli World Challenge in the No. 2 CRP Racing Mercedes-AMG GT3, is now going to work to pay it forward to help drivers such as himself who’ve also carved out a place as a racing coach connect with other coaches, and to help fellow professionals have a singular landing place for drivers of all skill levels to seek them out. The result is Race Car Coaches, which Dalziel will launch this month at www.racecarcoaches.com. It’s designed as a one-stop shop for drivers to find coaches, and is location-based. Coaches will be the site’s members, paying either a monthly ($30/month) or annual ($300/year) fee. Dalziel explained more about the idea and the process behind it. “One question I get asked a lot from guys I coach regularly is, ‘Do you know anyone in a certain location?’” Dalziel told NBC Sports. “The reason for that is, coaches want to make sure they’re available, but people may not want to pay for extra travel expenses, and that often doubles the fee of having a coach. With such a busy schedule himself, competing in both of North America’s top sports car series, he’s had to cut back on his own coaching schedule this year and winds up passing on potential clients to his “go-to guys” of drivers he trusts. “It’s only going to be as good as the people involved in it. If I have 1,000 coaches, of course I’m happy, but it makes everyone happy. The more content we have, the easier it is for a client to come on and make sure it looks legit,” he said. “You don’t necessarily need to be a professional driver, and a lot of people were worried about that originally. A lot of coaches are drivers that were talented but never got the luck or opportunity to reach the pro level. Additionally, there is a 90 days free special promotion to coaches who sign up for the annual membership within the first week. Dalziel has sought to make the site as simple to use and navigate as possible, cutting down on uncluttered pages and leaving it to where the first thing you do is type in the location within a certain mileage radius. Funnily, while ratings are a hot-button topic within the sports car world – there are four levels of driver rating in Platinum, Gold, Silver and Bronze and lineups are often determined by a driver’s rating – ratings will be key to the eventual growth and success of Race Car Coaches. Dalziel plans to introduce a rating system so clients can rate the coaches. Similar to an app like Yelp, where users rate businesses which then helps other users determine whether to visit that business, a ratings system here will help prospective clients find the coach that best works for them. On another rating-related note, since most gentlemen drivers that get into sports car racing start with track days, Dalziel said part of the reason for creating the site is to build more of those. And those relationships often grow into full-time driver partnerships as these gentlemen drivers look to build their careers. In speaking with some of his mechanics, Dalziel said a similar type of finding opportunities catalogue was around in the 1990s, and it’s where many of his mechanics got their start in racing. Dalziel is focused primarily on the sports car world for this project, at least initially, as it’s where the bulk of his career has been spent in North America. The next step after launching beyond the U.S. and Canada is planning to expanding to other countries, with a drop-down menu planned to adjust between countries. With a desktop and mobile site, Dalziel does not plan to create an app for Race Car Coaches at the outset owing to the investment level. If a coach plans to stay outside their usual location – say in California or Florida for a couple weeks at a time in-between races – they can update their location and the site will update along with it. Previously, Dalziel said drivers’ social media accounts or websites were really the only ways to track location. 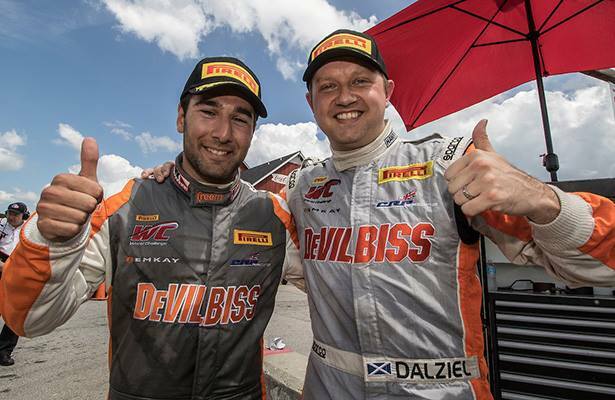 An entrepreneurial driver by nature, Dalziel learned well from his father’s successful real estate career and has sought to open as many possible doors as he could within the sport. He’s also an advocate for Rett Syndrome awareness; October is Rett Syndrome awareness month. Now 35, Dalziel also is building the site as a way to take that mindset to the next level as the Florida-based Scot begins to think about life after full-time driving. Not that he’s slowing down any; he’s re-signed with Tequila Patron ESM for 2018, his fifth season with Scott Sharp’s team. “I think it comes from my dad. My dad was a successful businessman in real estate his whole life. One of the best compliments I got my whole life was from Scott Atherton, who called me a ‘go-getter.’ And that’s just the way the business is. You can’t sit back; you have to make it happen,” Dalziel said. “I’d love to say I’m at my peak – probably – is it gonna get better? Probably not. I’d have to look at, being 35 years old, where’s my career and income 10-15 years from here? “I love coaching but I do a lot of things for people, advice, for free. I love this industry, cars, track days as much as race cars. It’s a way to help out. If it works great, if it doesn’t, I tried to connect people to help understand the business better. “It’s a cool idea; it’s never been done before. I’m a little nervous because it’s a little outside my comfort zone and I spend most of my life racing cars. My dad was in real estate. I know the racing and real estate worlds but I’ve never really stepped outside the box too much!